Description：Chinese business tycoon Jack Ma, chief of the e-commerce giant Alibaba Group, has provoked a viral online debate in China with his controversial views on the culture of overtime work. 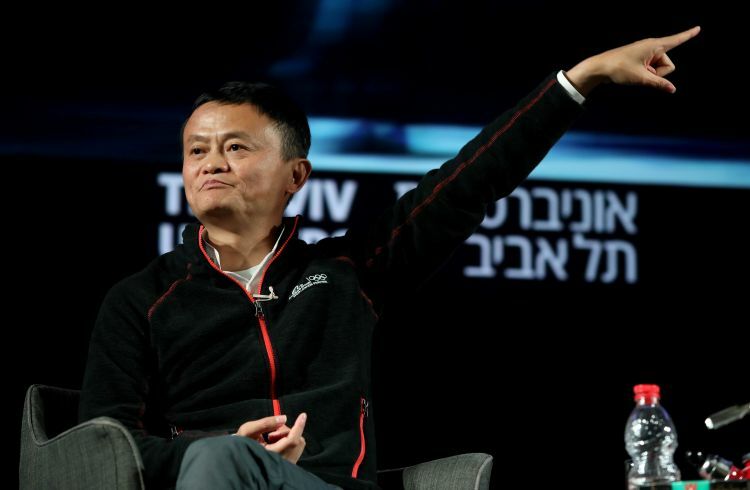 Chinese business tycoon Jack Ma, chief of the e-commerce giant Alibaba Group, has provoked a viral online debate in China with his controversial views on the culture of overtime work. In a speech to Alibaba employees on Wednesday, Ma defended the "996 work culture," which refers to working from 9 a.m. to 9 p.m., six days a week. "It's a great honor to be able to work from 9 a.m. to 9 p.m., six days a week, because many companies and people have no chance to do so, even if it is their wish to do so," he said. He also called working overtime a "blessing" for younger workers. To explain his views, Ma wrote a post on Sina Weibo, a micro-blogging platform, the following day. "No company should or have the right to force employees to work overtime," he said, but emphasized that "a happy life comes from hard work." Many Chinese business leaders shared their views on this issue. On the same day, Liu Qiangdong, CEO of Alibaba's chief rival JD.com, posted an article on Wechat in support of Ma. "Every JD.com employee must be hard-working," he said. "Should I be responsible for the 180,000 workers and their families, or should I keep the 1% who have no interest in work and be responsible for them? However, Li Guoqing, founder of another Chinese e-commerce company Dangdang, held an opposite view. In his Weibo post on the same day, he said he was totally against the "996 work culture." "It's more meaningful for managers to improve their decision-making efficiency rather than to ask employees to work overtime," he said. Over the weekend, Ma wrote another post on Sina Weibo. "I think it's necessary to have a serious discussion on the issue since it's become so highly debated," he said. "The real 996 is not simply working overtime. It's not just physical work. It has nothing to do with being exploited," he said. "Those who can stick to the 996 schedule must have their own motive. They must be motivated by things other than money. They must enjoy the process of study, thinking and exploration after the eight working hours." The Chinese public held divided views on the "996 work culture" and shared their views on Ma's Weibo accounts. "A worker must follow the company's rules when he chooses to join it. Otherwise, he can choose not to work there," Weibo user Chendaqian'er said. "I don't think there is anything wrong with the 996 culture. The problem is that some companies force workers to do so, and many without pay. You shouldn't make the 996 schedule a routine or expectation," Weibo user Aijianshende Xiaopangzi said. "Ma is too idealistic. Not everyone is like him. They don't want to change the world and are unable to do so. For common people, survival comes before running a country," Weibo user Jiaolianxishang Shuantoulv said.